The Darley Anderson Children’s Book Agency Ltd.
At the Darley Anderson Children’s Book Agency we specialise in finding and nurturing new talent. We are always searching for the bestsellers of the future and would love to hear from you. You can see our Advice to Authors here or go straight to our Submissions Guidelines here. The first Children’s Book Agency authors were Cathy Cassidy and John Connolly, now both international bestsellers. Our authors have been nominated for major prizes, including the Carnegie Prize (Polly Ho-Yen, Kim Slater and Steward Foster), the CBI Book of the Year (Deirdre Sullivan), and many other library and regional prizes. 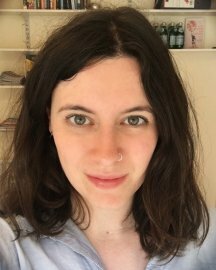 Our authors have also had their works made into films and animations, including YA author Beth Reekles, whose film of The Kissing Booth was one of the most-watched films of 2018. Our list of illustrators includes prize-winning Lorna Scobie and Claire Powell. As chief talent-spotter, Clare loves to discover memorable new characters, bold and unique voices, a strong concept and great storytelling. She wants to be completely gripped and is delighted if a manuscript makes her miss her stop on the tube. She’s always keen to see funny younger fiction, a bit of magic, stories for all ages about modern life, and she is still holding out for a YA love story that brings tears to her eyes. She’s also looking for children’s book illustrators who have a contemporary style and can show a range of movement, character and expression in their picture book portfolio. Clare is actively looking for submissions from Black, Asian and Minority Ethnic, LGBTQ and all other under-represented writers. Please include the hashtag #diversevoices in the subject line of your email when you submit. 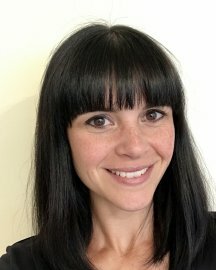 At the Agency she represents picture books, middle-grade, teenage, YA and illustrators. Her authors include Vanessa Altin, Caroline Crowe, Martyn Ford, Stewart Foster, Helen Grant, A M Howell, Polly Ho-Yen, Olivia Hope, Rachel Ip, Olivia Levez, Adam Perrott, Beth Reekles, Dave Rudden and Deirdre Sullivan. Her illustrators include Claire Mackie, Claire Powell, Lorna Scobie and Natalie Smillie. 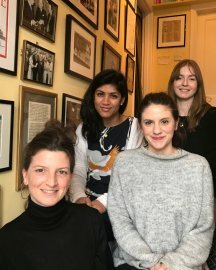 Our in-house Children’s Book Agency Rights team is made up of Sheila David, who represents Film and Television Rights, and our three Translation Rights Agents: Head of Rights, Mary Darby; Rights Agents Kristina Egan and Georgia Fuller. Travelling to the biggest international book fairs, the Rights Team is in contact with the best publishers and studios from all over the world, building authors’ careers both internationally and at home in print and on-screen. For more information on Rights, please click here.